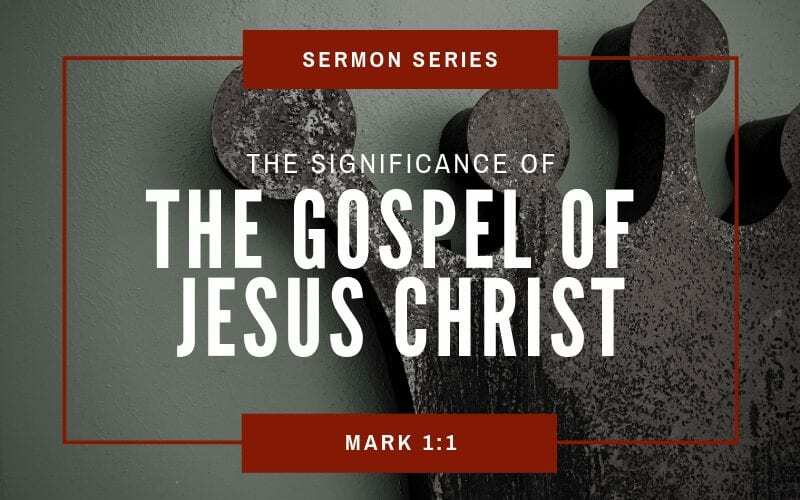 Mark 1:1 | The Significance Of "The Gospel Of Jesus Christ"
Mark is, or at least is close to, my favorite Gospel. It is short, action-packed, optimistic, and permeated with the theme of the victorious Kingdom of God. We can see these things as soon as we read Mark 1:1! 2. When God took on human flesh, when Jesus came to earth as a man, when the second person of the Trinity took on human nature. We call this the incarnation. The beginning of Mark is now teaching us a third thing to remember with the wording, “in the beginning” — the ministry of the adult Jesus on earth. The time when Jesus left His earthly father’s profession, and would now begin His teaching of repentance and the Kingdom of God. What do all these events have in common? They completely changed the world. Reality, as it was before each of these “beginnings,” is drastically altered and better than it was previously. When you see “in the beginning,” prepare for everything to be shaken. Jesus and the Apostles were not the first ones to use the word Gospel. Pagan nations, like Greece and Rome, used it in reference to a victory, birth, or installment of a new emperor. “Gospel” was a political word. By the time the person of Jesus and His message come on the scene, this “Gospel of Jesus Christ” in context is both religious and political in nature. It encompasses both individual and society, both the one-and-the-many. The Greek translation of the OT uses the same word for a promised King who would rescue Israel’s people from her enemies and bless the nations. Christ was not the last name of Jesus. It would not have read “Christ” on the mailbox outside of his house, or as the last name on his magazine subscription. Christ was a position or an office that Jesus held – the “anointed” messianic servant. The one who would be bitten by the serpent, crushed for our iniquities, and who would defeat death by His resurrection. The Son of God was the OT title for the King of Israel. The royal significance of this title, “Son of God,” is clearly evident in Psalm 2:10-12. We see that the King-Son will be set over all other kings and that they must submit their rulership under His. Jesus is that Son of David, the Son of God (both in His Kingship and Deity), who will receive a victorious kingdom which will extend itself until it covers every tribe, tongue, and nation, and will bless every family of the earth as God promised to Abraham. The Gospel of Mark is the antidote to defeatism, reductionistic thinking of the Kingdom of God, and the entirely inward focus of pietism. 1. Don’t view the future through the lens of unbelieving humanistic-man. In other words don’t believe that natural forces (climate, economic changes, etc.) determine the future. 2. Deny naturalistic determinism or the belief that man will do what they do because the chemical in their brains determined their decision. 3. Do not allow sovereignty to fall in the hands of man. No individual, office, or institution (i.e. central and city planners, city councils, kings, presidents, prime ministers, parliaments, legislatures, etc.) has control over the destiny of the nations. 4. Believe that Christ alone controls the future. He determines what will be the end of every nation – obedience to Him. Hey Mr Matthew, this is fabulous! Thank you for putting this together. No problem Angela! I am glad you are enjoying the series so far.